The 2007 FIBA European Championship, commonly called FIBA EuroBasket 2007, was the 35th FIBA EuroBasket regional basketball championship held by FIBA Europe, which also served as Europe qualifier for the 2008 Summer Olympics, giving a berth to the champion and runner-up teams (or to the third-placed team in case Spain should reach the final). It was held in Spain between 3 September and 16 September 2007. Sixteen national teams entered the event under the auspices of FIBA Europe, the sport's regional governing body. 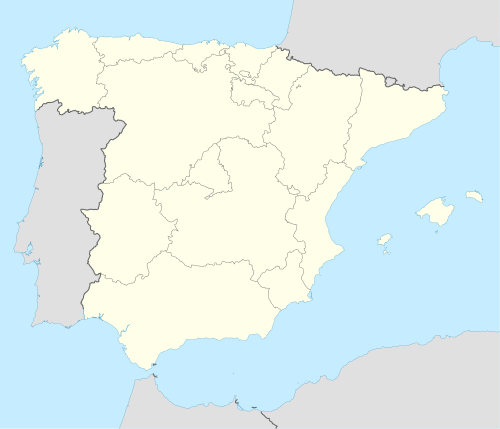 The cities of Alicante, Granada, Madrid, Palma de Mallorca, and Seville hosted the tournament. Russia won its first FIBA EuroBasket title since the dissolution of the Soviet Union, by defeating hosts Spain, with a 60–59 score in the final. Russia's Andrei Kirilenko was voted the tournament's MVP. Of the sixteen teams that participated in EuroBasket 2005, hosts Spain plus the eight European teams that participated in the 2006 FIBA World Championship (France, Germany, Greece, Italy, Lithuania, Serbia, Slovenia and Turkey) qualified directly. The other seven teams earned their berths via a qualifying tournament. The draw for FIBA EuroBasket 2007 was held in Madrid, 19 October 2006. The top three teams from each group advance to the qualifying round, in which they are separated into two groups (A1, A2, A3, B1, B2, B3 on Group E; C1, C2, C3, D1, D2, D3 on Group F). Results and standings among teams within the same group are carried over. The top four teams at the qualifying round advance to the knockout quarterfinals (E1 vs. F4, E2 vs. F3, and so on). The winners in the knockout semifinals advance to the Final, where both are guaranteed of berths in the 2008 Olympics. The losers figure in a third-place playoff. Before the tournament, the semifinal losers and the teams participating in the 5th-place playoff were assured of berths to the FIBA World Olympic Qualifying Tournament 2008. Spain, which lost in the final to Russia, had already qualified for the Olympics as reigning world champions. Since they occupied what would otherwise be a qualifying place, third-place Lithuania received a direct Olympic berth, and seventh-place Slovenia advanced to the FIBA World Olympic Qualifying Tournament 2008.